So...we tried to get into the Copper Dog 150 in Calumet, Michigan....1st team on the wait list....but is looks like the remaining teams that are signed up are all showing up. Sigh...a 150 miler would have been a good way to end the season, and a road trip where we could stop on the way back to see our friends Ann Stead and Jamie Nelson (and run a few days on Jamie's wonderful trail system!) would have been fantastic. We were also incorporating a visit to Maryann and Jim of Prairiebilt Dog Sleds on our return visit, need to try out some prototypes and talk sled design for our upcoming adventure. Side note-for those of you that have never driven a Prairiebilt sled-these are primo distance sleds IMO, and in the opinions of many others too. But back to What Now?? We have tons of snow here, more than anywhere else in the state, maybe anywhere else in the lower 48. Our trails are actually all snowed in right now due to it snowing 13 out of the last 14 days. We took a week off after finishing the last two back-to-back 100 mile races, the musher and her handlers needing the rest much more than the dogs did. The team is at an average of 2800 miles for the season so they are well conditioned and really don't need a ton more mileage this year. Big day today people! Even though the weather didn’t cooperate and settle down like we’d hoped it would, we still managed to get a couple teams out this weekend, which meant that I got to run my own team for the first time! 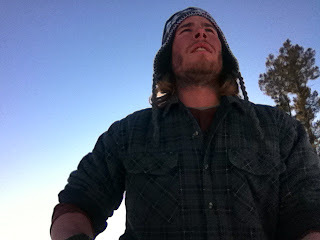 Up until now, I’ve served mainly as the resident utility man on our training runs, which means that I’ve spent a lot of time on a tow sled behind Morgan or Craig’s teams, helping out however I can (Twila is fond of her nickname for me: Ballast). Today though, I graduated to solo sledding. 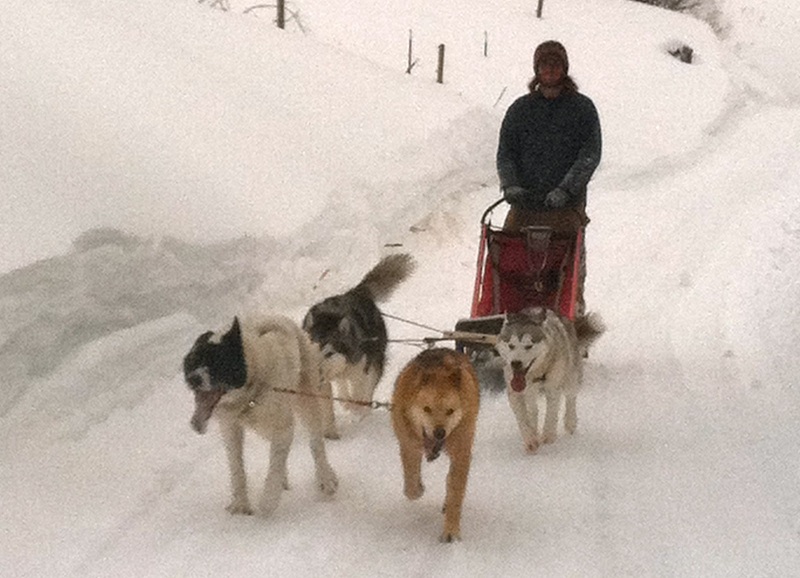 While Morgan and Craig rode ahead with eight dogs, I took out my own little four dog team, and it was a good one. 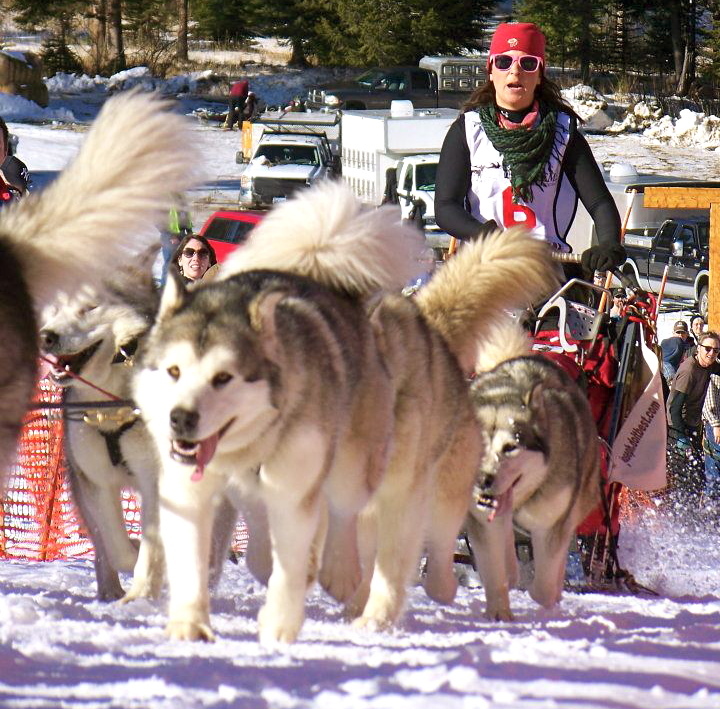 For leaders, I had two experienced Alaskan Huskies, Copper and Sumo, and for my wheel dogs, I ran two of our young and speedy female Malamutes, Enya and Liddy. Needless to say, it was a totally different experience riding solo – having Copper and Sumo actually “gee” or “ha” when I asked them was new and exciting. It definitely felt good to be back on sleds after almost a week, which is the longest we’ve gone without running since I’ve been here. I’m pretty hooked, so over dinner tonight I’ll be trying to convince the ladies of the ranch to let me take out another team tomorrow (six, maybe?). Twila thought this was a much better picture. 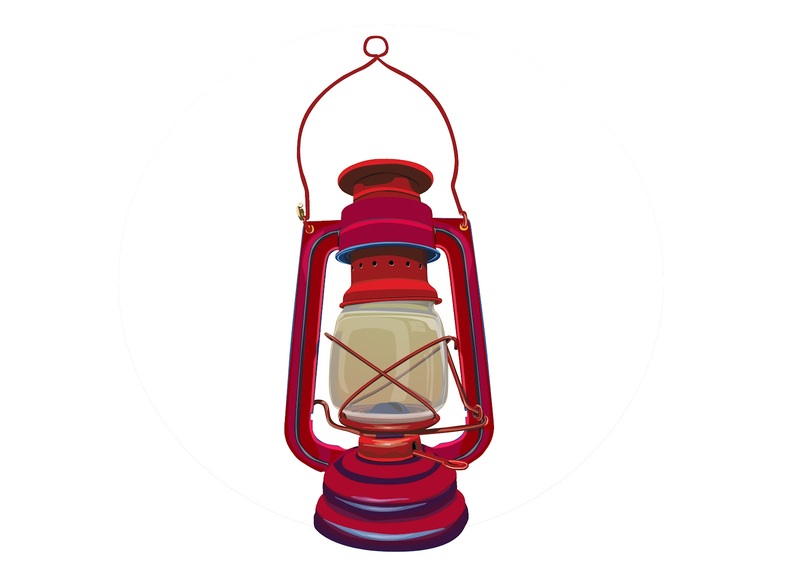 Why “Run For The Red (Lantern)"? A lot of people have asked me why we chose this slogan, many think it is silly to aspire to take last place in anything, and others think we are eliminating our team’s potential for success by announcing to the world that we hope to finish last. Maybe a brief history of the Red Lantern would help? In the early years in Alaska and the Yukon, supplies and mail were mainly carried by dog team. Dog drivers relied on a series of roadhouses and outposts along their routes between villages. These early mushers carried their cargo regardless of time of day, weather or trail conditions and since this was incredibly dangerous they developed a safety system. When a musher was on the trail between roadhouses a kerosene lamp was lit, hung and not extinguished until the team(s) were in safely. Not only did the lamp help the dog drivers find the outpost, a lit lamp also signified that there were team(s) out on the trail somewhere. In the mid 80’s the tradition was revived by hanging a red lantern on the burl arch in Nome. The lantern is lit at the beginning of the Iditarod every year, hung at the finish line and not extinguished until the last musher has crossed the finish line. 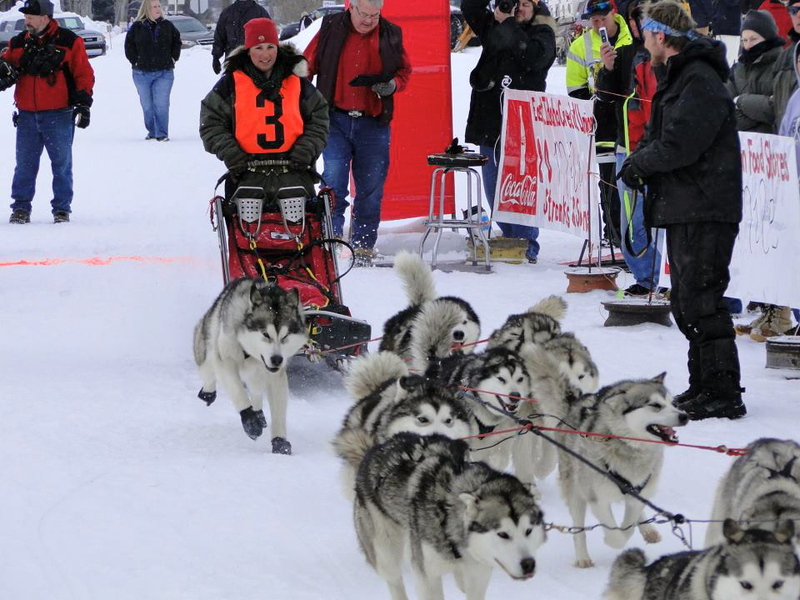 That musher crossing the finish signifies the official end of the race, and that musher is the winner of the “Red Lantern Award”. Modern day Iditarod rules allow the elimination of teams that are not “in a position to make a valid effort to compete”. Specifically; “If a team has not reached McGrath within seventy-two (72) hours of the leader, Grayling/Galena within ninety-six (96) hours of the leader or, Unalakleet within one hundred twenty (120) hours of the leader, it is presumed that a team is not competitive.” Winners of the Red Lantern Award in this day and age may NOT even be the last team on the trail, they might be the last team ALLOWED to finish the race. In 2009, Rob Loveman was withdrawn for non-competitiveness, in 2010 Hank Debruin was forced to scratch or be withdrawn due to non-competitiveness, even though he was well under the Unalakleet time limit. What a shame these mushers were not allowed to finish! I do understand why the ITC put this non-compete rule into effect; volunteers were being kept extra days at the checkpoints for the last couple stragglers to make a camping trip out the the race. That being said, it is a painful end to a life’s dream to be withdrawn when you are making sincere effort to finish the race in a timely fashion. So let’s take a look at our chances of actually finishing the “Last Great Race On Earth”. It can be done by a malamute team. In looking at the average speeds of some of the back-of-the-pack teams over the last few years, it is possible to finish before being dq’ed. Possible-IF the team is at their physical best, IF trail conditions and storms keep the leaders of the pack slower than normal, IF there are no serious gear malfunctions, etc. In other words, if EVERYTHING goes our way, we will finish. 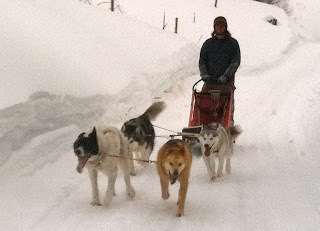 We are determined to leave as little to chance as possible, training hard, making sure our dogs are as fit and healthy as possible, making certain that our musher is as experienced (as well as fit and healthy:-) as possible, and using every possible tool at our disposal to increase chances of success. With all of this, please understand that this is a huge undertaking for our breed; to be able to finish a race of this magnitude, even coming in last to win the widow’s lamp, would be a great honor. It would be the culmination of decades of breeding, tens of thousands of miles of experience on the runners, and thousands upon thousands of miles of training on the team. It will take over one hundred thousand dollar to get there. It will mean that we eat, breathe, sleep (not much) and live this dream for the next 2 years. We will sacrifice much; money, rest, vacations, fancy coffee drinks, new clothes (except those that help us get down the trail better:-), date nights, having any life outside of dogs. 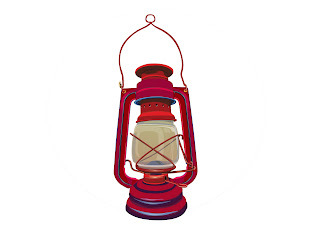 So....bringing home the official “Red Lantern” of the 2014 Iditarod? Nice picture from the start of American Dog Derby. Photo courtesy of Jill Wilson. Welcome everyone! (If there is anyone at this point). Today, our website, Run4theredlantern.com, got off the ground. 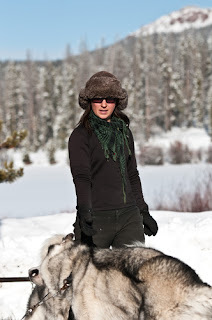 Its aim is to keep you, the masses, informed of our progress as we work towards our goal of competing in the 2014 Iditarod with a pure bred Malamute team, and naturally, the best way to keep y’all current on our progress is through this brand new blog. Since I have been asked to write this blog, and since a blog is another name for a public diary, I should probably start by introducing myself. My name is Peter, and I’ve been working here at the ranch since November, at which point I knew nothing of the skills needed to work in such a setting (I now know a little more than nothing). I came here because I wanted an opportunity to learn those skills, to work with the dogs, to live off the grid, and yes, to be with my girlfriend, Morgan. I’m 24 years old, less than two years out of college, and learning more here every day than I ever did in 17 years of student life. Now, to get you up to speed, the bad news first: For three days, it has been steadily plopping wet, heavy snow on us, and apparently that’s the go ahead for me to find every possible way to create more work for everyone around me. In 24 hours I have managed to get the plow truck stuck…three times, break the plow on another vehicle, and while tromping around on our roof during 50 mph snow gusts (long story), stomp a hole through part of the ceiling. Now, the good news: Evidently, everyone else here has both more patience and a better sense of humor than I. This week marked the end of race season, and has therefore been unusually restful. The season was all of our firsts, and I’m comfortable calling it a success – Morgan completed all four races she competed in, running approximately 100 miles in each of the last three. 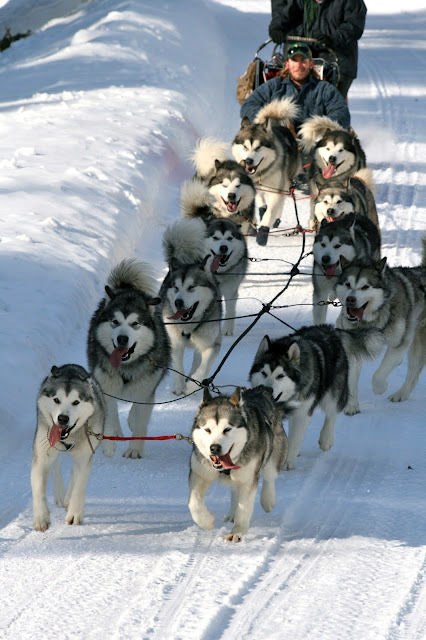 Both mushers and malamutes piled up miles and experience, setting us up for bigger and better things next season. Most immediately in the good news category: it seems to be clearing up a bit, which is great timing seeing as some good friends are coming to visit this weekend, and we’re antsy to get back to running dogs while they’re here. Well I think that’s enough for an introductory blog. The first of those aforementioned friends should be rolling in any minute now, so I should be off. If y’all have any questions I’d be happy to answer them (it’ll give me fodder to fill my blog). Otherwise, I’ll try to write up another update within the next couple days. Until next time!